Marijuana Paraphernalia: learn about the different methods of smoking weed. 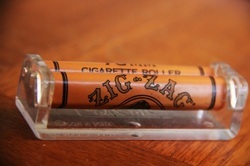 A popular method of smoking marijuana is through cigarette form. Loose marijuana is placed into rolling paper to form a “joint.” The ends are tied off, and the joint is smoked just like a tobacco cigarette. The lack of filtration system makes the user highly susceptible to the health effects associated with smoking. A very common method of smoking marijuana is through a blunt. Marijuana users purchase tobacco products and refill them with marijuana. A small poker (screwdriver, pen inkwell, or kitchen utensil) is used to remove the tobacco from a cigarette or cigar. Marijuana can then be combined with the tobacco and packed inside. Blunts are easily accessible in most liquor stores. 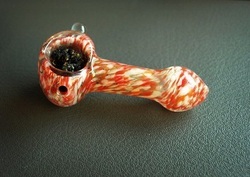 A glass pipe. The bowl is the large hole, used to hold smoking material. The smoking material is placed in the receptacle and affected with a heat source while air is drawn through the bowl and stem to the user. This pipe is considered "pure" because all you need to make it is an apple and stick-like device, such as a pen, with a tip sharp enough to poke a hole in the apple. Fill the bowl with the material you want to smoke. A hookah is a water pipe used to pass charcoal heated air through a tobacco mixture and ultimately through a water-filled chamber. The tobacco mixture can include or be replaced with marijuana. 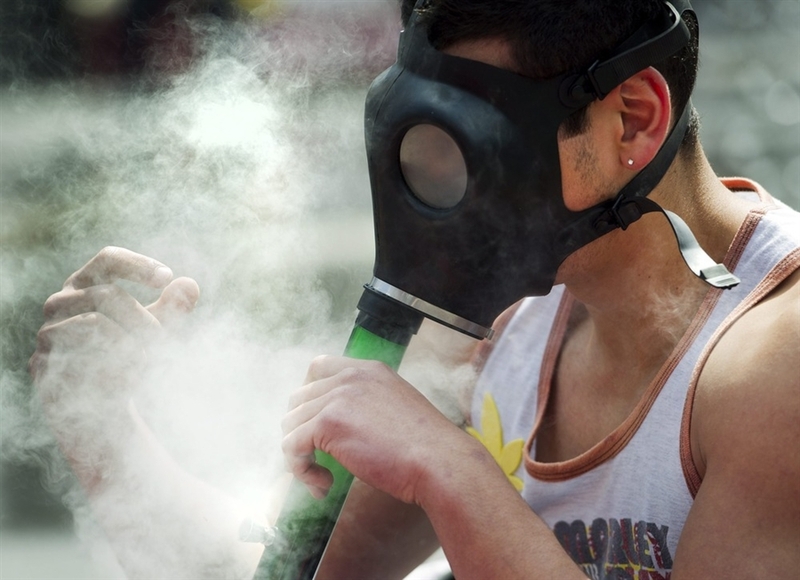 Hookah (or water pipe) smoking is gaining popularity nationwide, especially among youth and college students. Contrary to beliefs, hookah smokers have a higher risk of experiencing the health effects associated with smoking. A bong, is similar to a pipe, only it has a water-chamber through which cannabis smoke passes prior to inhalation and a wide "mouth" typically around 1.5–2.0 inches in diameter. Marijuana users prefer to grind or shred it, to make it more smokable. 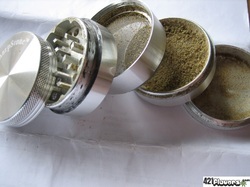 Grinders are usually circular, and they come in a variety of compositions and styles. The top of the grinder lifts off, the marijuana is placed between the two discs, and the user simply rotates. Some marijuana smokers prefer to use a device to help them roll a joint. These devices have different configurations, but serve the same function. A piece of rolling paper is fed between two rollers or curved surfaces. Marijuana is positioned on top of it. A small crank or lever on the device is then manipulated so that the marijuana is tightly wrapped in the paper. Marijuana buds are commonly sold in pill bottles, 35 mm film containers.